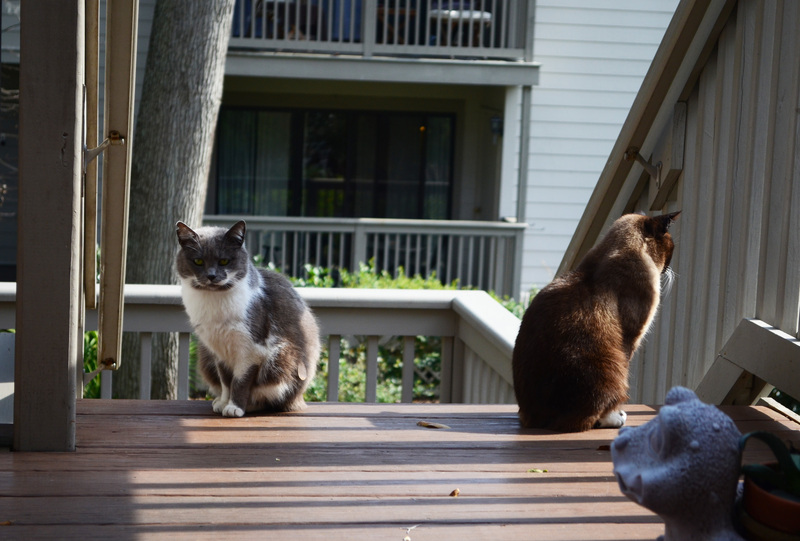 These cats live outside of a condo complex in Hilton Head Island, SC. They appear to be siblings as they are both a manx mix with only a stub of a tail. They patiently wait on the porch in the early evening to be fed their dinners.